WE CAUGHT up with Des Jones from Dysart the other day at Kempton when he rolled in for a cuppa and a break driving one of the family business's trucks, a 1999 Mitsubishi stock crate. Des was on his way from Devonport to Broadmarsh at the time to load a few more sheep and then to hopefully knock off for the day. 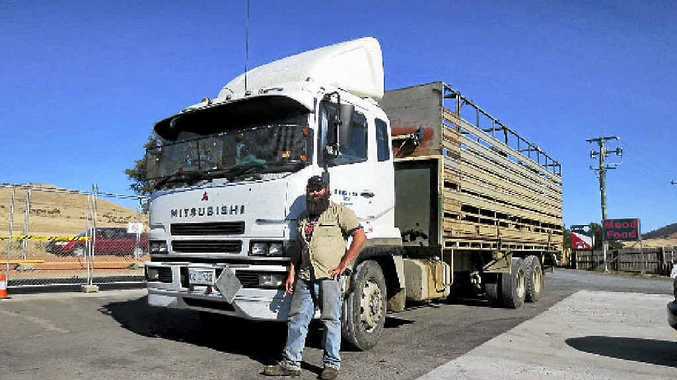 He tells us he has always driven trucks and always for the family business (R. Jones and Son), founded by his great-grandfather, who bought trucks and operated back in the 1900s. Fortunately he enjoys it and finds it a great job, with plenty of variety, and he tells us the Mitsubishi is his third truck.